Elex Release Date Set for October 2017 | Nerd Much? Publisher THQ Nordic has announced the release date for Piranha Bytes’ upcoming title Elex. It will be out on October 17, 2017 on the PS4, Xbox One, and PC. A cinematic trailer also comes with the release date, showcasing the story of the game, and the collectors edition. The trailer establishes the player’s journey through the planet Magalan, recently devastated by a meteor collision. The meteor changed the people of this planet forever, having brought the element of Elex and splitting them into factions that each use the new elements power in different ways. The player’s character comes from a faction that uses Elex to be rid of emotion, using only logic to make their decisions and military organizations. 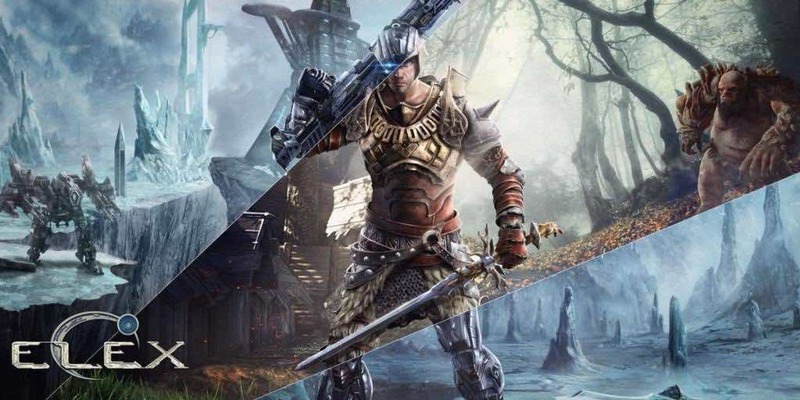 In the trailer, we can see that addiction to Elex is broken, and the player must decide who they will side with in the coming conflicts. Somewhere between swords, plasma rifles, and magic, the player also decides how they will choose to use the element Elex again, affecting the story along the way. No price has been named yet, nor can you pre-order the game yet. There will be a press-only demo at E3, however, so we can be sure to hear what the first impressions of this game are then. Once again, Elex will be released come October 17, 2017 on the PS4, Xbox One, and PC. Check out more upcoming games coming later this year.